Watch your email for new content some posts will contain directions to win. The first responding subscriber will win. Oct 15th, 2016 || HWF’s 20th Anniversary Ho’olaule’a in HILO — see ya there! Hawai`i Wildlife Fund (HWF) turns twenty in 2016! Many of you have joined us sometime this year at a volunteer event to commemorate this milestone. However, in a couple weeks on October 15th, we will be celebrating this momentous occasion with a fun-filled celebratory event in downtown Hilo and we hope you can join us! —> All IDs will be checked for alcohol purchases. Due to federal laws, this will be a CASHLESS event, so please bring your checkbook or visa/mastercard. Mahalo for understanding and taking part in the festivities! * Early birds: $30/person OR two for $50!! If you’d like more information or would like to volunteer, please contact meg.HWF. Mahalo to our many volunteers and their `ohana for all of your support during these past two decades. More info about HWF projects, partnerships, and accomplishments over the past two decades can be found on our website (wildhawaii.org), Facebook and Instagram pages (@wildhawaii). Looking forward to seeing you and everyone there on OCT 15th! PLEASE SEE ATTACHED FOR OUR EVENT FLIER FOR POSTING / SHARING! … and more arriving everyday, including things from: Nurdle in the Rough Jewelry, Conservation Council for Hawai’i, Hilo Bay Cafe, Cloud Rest Ka’u Coffee, Dr. Robin Baird, Kona Boys, BioAstin, Volcano Art Center, art from Julie, Kona Boys, Noni, Jon …. and many more! ​This event is being supported with in-kind donations from the following organizations (not already mentioned above) and event ticket sales, mahalo for your support! Keep up with HWF and 20 years of conservation! Please check out our website calendar and FB for all activities, events, and volunteer opportunities! Sat., March 5th (Hawai‘i Island):3rd annual Ka‘awaloa Kayak Cleanup event with Hawai‘i State Parks & Kona Boys. RSVP and more details to kahakai.cleanups and see below! Sat., March 5th & Sun., March 6th (Maui Island): Join us at Lahaina Ocean Arts Festival! See our new logo as we refresh our BRAND for our 20th anniversary, educational games and displays. Tues., March 8th(Maui & Hawai‘i Island):HWF launches our first ever crowd-funding campaign to support our ongoing sea turtle research and recovery projects on Maui and Hawai‘i Island. Wed., March 9th(Maui):The first ofHWF’s 20th anniversary celebrations at Camp Olowalu (6-9pm). Contact wild for more info and see flier below. Fri., March 18th(Hawai‘i Island): Ka‘ū Estuary Restoration Workday at Kāwā. Join HWF and family members in removing invasive weeds from this coastal ecosystem. More info from meg.HWF. Sat., April 16th (Hawai‘i Island): Cleanup event at NELHA/Wawaloli Beach Park in North Kona. Info from kahakai.cleanups. Sat., April 30th(Hawai‘i Island): 7th annual cleanup collaboration with Manukā Natural Area Reserve crew in South Kona. Info from kahakai.cleanups. Hawai‘i Wildlife Fund is a non-profit organization dedicated to the conservation of Hawai‘i’s native wildlife. Founded in 1996, HWF has been providing 20 years of research, education, conservation and advocacy to our island’s communities. We are educators, researchers, naturalists, communities, volunteers, donors and conservationists who are devoted to the protection of Hawai‘i’s diverse marine and coastal ecosystems and inhabitants. And we are thankful for your continued support! Learn more at wildhawaii.org, or follow us on Facebook or Instagram (@wildhawaii). 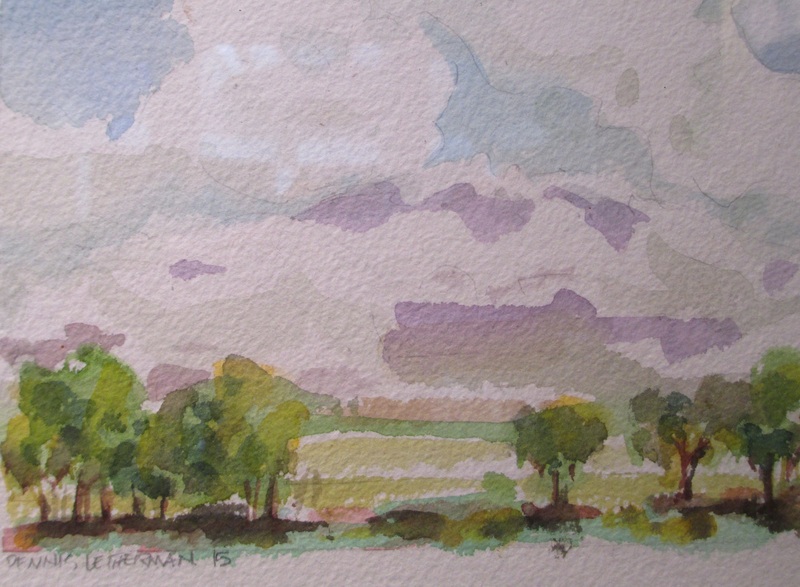 ​Watercolor demonstrations will be held in Wailoa Center’s Main Gallery by Dennis Leatherman every Tuesday in October from noon to 4:00 p.m. Meet the artist, ask questions and see his work. ​Reminder about the Big Island Ukulele Guild Exhibit and special Saturday events October 10, 17 from noon to 3:00 p.m.! With the Big Island Woodworkers, watercolors by Dennis Leatherman, ceramics by Shelby Smith and John Dawson in the Fountain Gallery! John Dawson: The First Forty Years….It Begins at the beginning……. 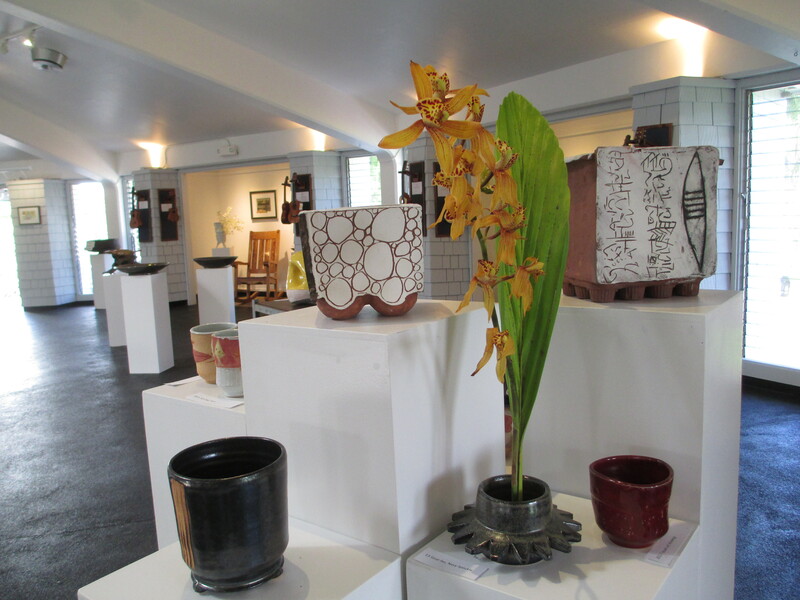 Reminder of Contemporary Craft Artist Talk/Walk Friday 1:00 p.m. to 4:00 p.m. Contemporary Craft Invitational artist talk on Friday, September 18th from 1:00 p.m. to 4:00 p.m. The opening reception for the Contemporary Craft Invitational at Wailoa Center Friday, September 4th was a big deal attracting a huge crowd of over three hundred visitors though out the evening. Most of the artists were in attendance and exhibit coordinator, metal artist herself, Liz Miller introduced each artist and offered a bit of their background to the audience. Also in the spotlight was Le Notley’s train exhibit in the Fountain Gallery where he was running his trains and answering questions from an enthusiastic crowd. It was a colorful evening. Both exhibits will run through the month and close on September 24th. The public is invited to an artist talk on Friday, September 18th from 1:00 p.m. to 4:00 p.m. in Wailoa Center’s Main Gallery. 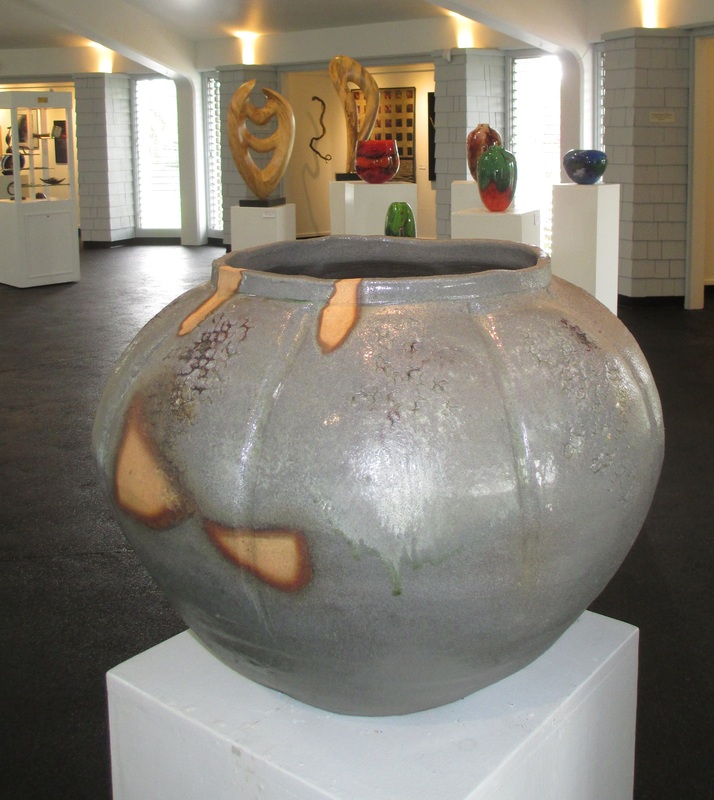 The artists who will be talking about their work in the exhibit will be ceramic artist Clayton Amemiya, fiber artists Phan Barker and Emily DuBois, woodworker John Mydock and metal artists Liz Miller and Amy Flanders. 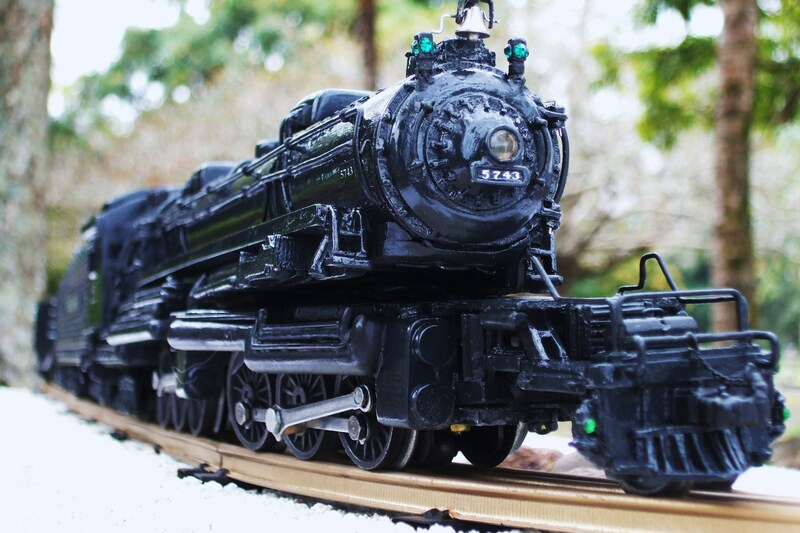 Also on hand throughout the month during regular center hours, will be Le Notley demonstrating his trains and answering questions about its construction and history. Wailoa Center is a Division of State Parks, Department of Land and Natural Resources. It is free and opened to the public Monday through Friday from 8:30 a.m. to 4:30 p.m. The Center is closed on Saturdays, Sundays and State Holidays. For additional information please call 933-0416 or email wailoa. 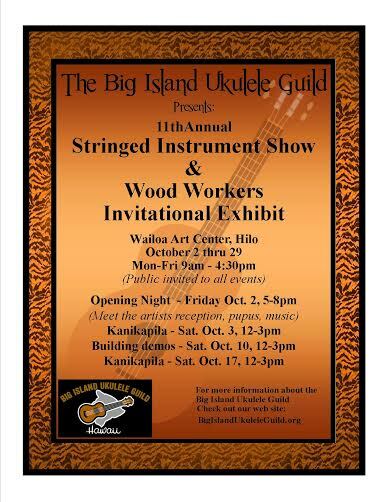 10th Annual Big Island Woodworkers Invitational October 2 – 29, 2015……..
You are invited to exhibit your wood work in the upcoming 10th Annual Big Island Woodworkers Exhibit held each year at the Wailoa Center. The newly formed non-profit, Hawaii Island Art Alliance (HIAA) will be sponsoring this years exhibit. 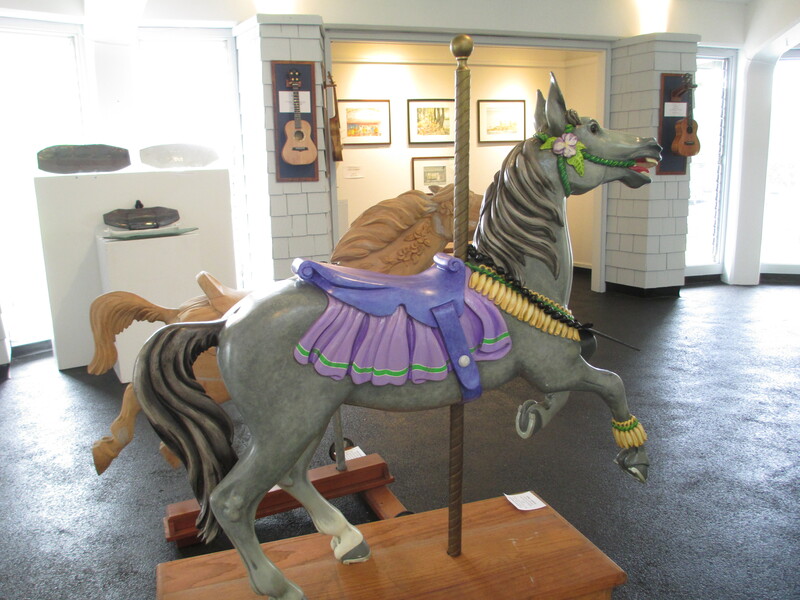 As in years past two invited artists, (painter Dennis Leatherman and ceramic artist Shelby Smith) will accompany the wood and the Big Island Ukulele Guild will be having their Annual Exhibit in the Main Gallery. Wailoa will be open on Saturdays during the month thanks to the special programs sponsored by the Big Island Ukulele Guild. Also on display during October in the Fountain Gallery is award winning artist/nature illustrator "John Dawson: The First Forty Years, It Begins at the Beginning….."
Typically the October line-up of wood superstars and artists is a big event for our community and the exhibit generates a high volume of visitors with a wide variety of interests throughout the month. If you are a woodworker or know a woodworker who may be interested in exhibiting their work please send an email to hiartalliance requesting additional information and an entry form. Hilo Kids to Tour Coral Restoration Laboratory & Nursery Big Island NowThe 7th grade class of Hilo Intermediate will tour their coral restoration laboratory and nursery at their NELHA site in Kailua-Kona. Hilo man accused of shooting wife is indicted on multiple counts Hawaii News NowHONOLULU (HawaiiNewsNow) - The 41-year-old Big Island man accused of shooting his wife last month has been indicted by a grand jury on multiple charges.